Prime Minister Justin Trudeau signals he is open to compromise on his government's plan to tighten the small business tax regime but pledges to largely stay the course as he looks to collect more revenue from some of the wealthiest Canadians. Prime Minister Justin Trudeau signalled Wednesday he is open to compromise on his government's plan to tighten the small business tax regime, but he pledged to largely stay the course as he looks to collect more revenue from some of the wealthiest Canadians. 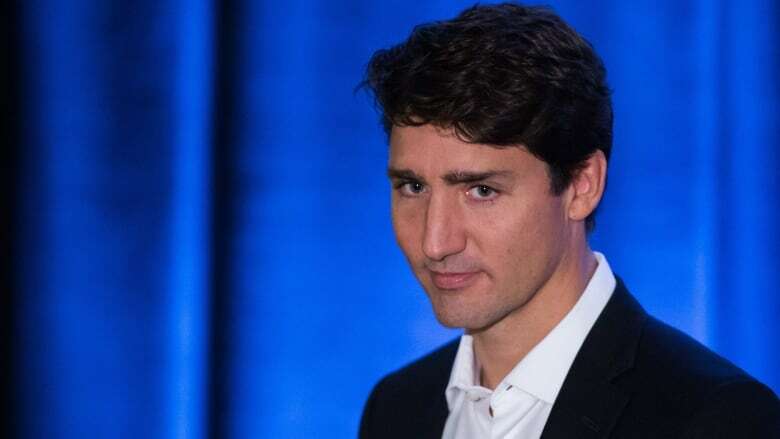 In his opening address to Liberal MPs assembled in Kelowna, B.C., for a national caucus meeting, Trudeau said he believes in the plan to close tax "loopholes" some proprietors now enjoy but could be willing to alter its rollout to satisfy growing demand for tweaks to the proposals. The current plan would curtail "income sprinkling" and end tax advantages for those who hold passive investments, such as stocks and real estate, in their small businesses. "Speaking of tax changes, I want to be clear: people who make $50,000 a year should not pay higher taxes than people who make $250,000 a year. We are always open to better ways to fix that problem, but we are going to fix that problem," Trudeau said. A Liberal who was inside the caucus room said "a lot" of MPs stood up during the morning session to question Finance Minister Bill Morneau about the changes and to air their concerns. 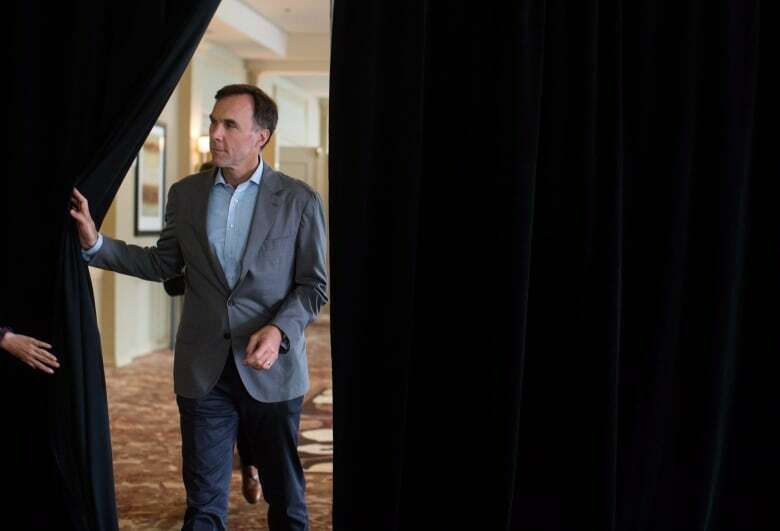 Morneau fielded questions on the proposals for more than an hour, the Liberal said. MPs have previously told CBC News they worry about an electoral backlash if the proposals proceed unamended. Before the prime minister's speech, Liberals MPs broke out into regional caucuses to discuss issues ahead of Parliament's return later this month. MPs were also briefed by Finance officials about how best to sell the proposed tax changes to their constituents. Those officials also sought to clarify some misinformation that has spread since the plan's launch. Importantly, the changes will not be applied retroactively and the actual small business tax rate will not be increased. Morneau said Wednesday the consultation process is still underway and the proposed tax measures are not yet set in stone. "As we move forward, we will certainly hear places where we need to make changes to the proposals in order to make sure we obtain our objective, which is to make sure our system is effective and that we deal with some tax advantages that aren't available to all Canadians," he said, while confirming Oct. 2 will be the final day Canadians can participate in consultations. A Finance official, speaking on background, said the government is unwavering in its plan but will take time to consider feedback from a 75-day consultation process launched in July. There could be delayed implementation, or some adjustments to ensure there are no unintended consequences, for example: The government is particularly sensitive to claims the proposals could disproportionately affect women. The Canadian Medical Association told CBC News Tuesday the tax changes could force female physicians to choose between their career and being a mother because many rely on income sprinkling to keep spouses at home to look after young children. "We'll look at all these measures to make sure they are not in any way causing challenge for women," Morneau said. "In terms of women professionals, nothing in our proposals will present a problem for women to continue to save within their corporation." Indigenous Services Minister Jane Philpott, who worked as a family doctor before entering politics, said she understands what female physicians are up against when having children. The former health minister, a mother of five, said the government will ensure the tax changes will have no impact on people because of their gender. "I recognize the challenges, particularly when you're practicing, as it relates to maternity leaves," she said. "When a female physician needs to take a period of time off for parental leave, and they need to hire someone else to cover their practice, that is a business expense, and the proposals that are being suggested and consulted on at the moment would in no way impact those expenses." Deputy Conservative leader Lisa Raitt criticized Morneau for the pace at which his department plans to roll out the changes to the tax code. "The last time a major change was made to the Income Tax Act was 40 years ago and we did 24 months of consultation in the form of a Royal Commission and we took our time and we we made decisions and we got it right," Raitt said. "He wants to do it in 75 days." "It's not wealthy Canadians this affects. It is the middle class." But there are concerns from some MPs that the government has not executed the best sales job. "I think we need to do a better job at getting our message out about what we want to accomplish in this," Manitoba Liberal MP Doug Eyolfson said. "The whole intention of this was tax fairness for all but I think we need to give a better message. We don't want to portray people as wanting to skip out on taxes or not paying their fair share; that was never our intention, particularly among the medical community." Toronto-area Liberal MP Rob Oliphant said he also thinks the government has some work to do on its messaging. "Change is hard for people, and I think it's going to be a rocky little period." Morneau said communicating the plan to Canadians is an "ongoing challenge." He will soon strike out across the country with Small Business and Tourism Minister Bardish Chaggar to meet with business owners, and to better "communicate what we're trying to acheive." Eyolfson, an emergency physician for 20 years, said he thinks doctors are currently paying their fair share of taxes, and he regrets that many of his fellow doctors feel targeted by this plan. "We want to ensure these concerns get passed on to the minister," he said.